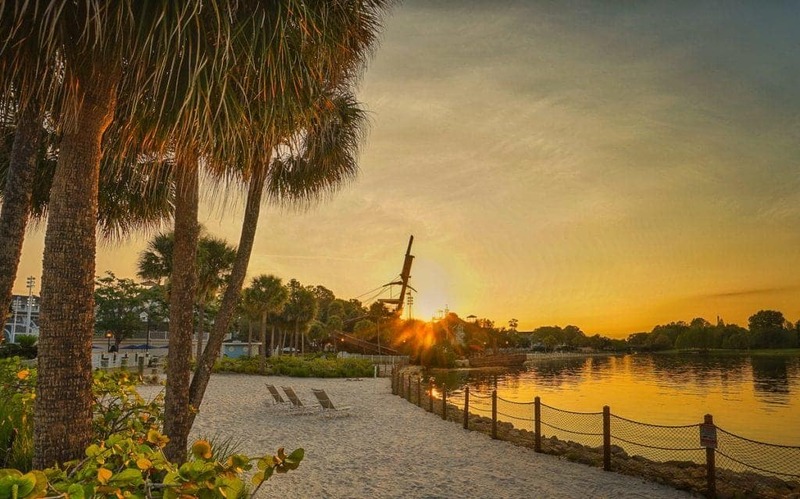 Why are the Disney Yacht and Beach Club are two of the most favorite resorts for Disney regulars? We’ll help you decide if its the right choice for your Disney vacation. Disney’s Yacht Club Resort and Disney Beach Club are inspired by historic seaside resorts; nautical and beach imagery is everywhere. 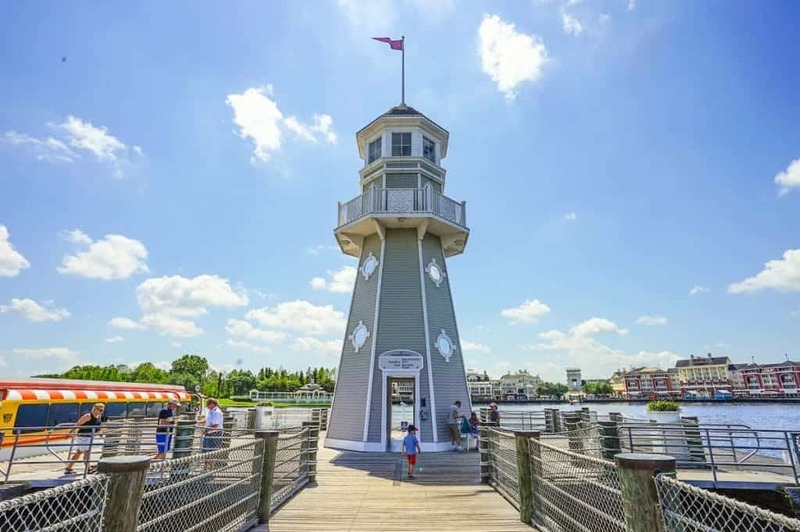 Joined together and within walking distance to Epcot, they share many amenities, including the Disney’s most beloved resort pool, Stormalong Bay. The Yacht Club and Beach Club both opened in November of 1990. Robert A. M. Stern was the architect for both as well as the planner for Celebration, Disney’s nearby planned community. 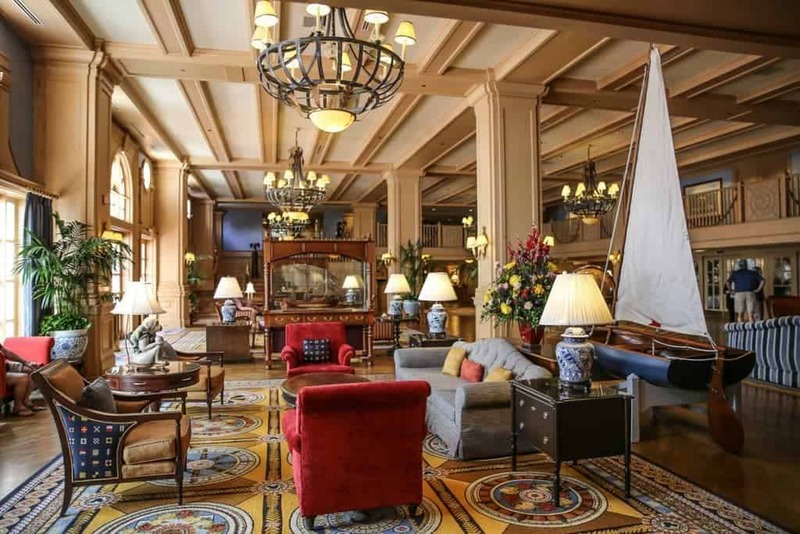 The Yacht Club lobby: sails, nautical flags, globes, repeat. The Sea Captain is a greeter ready to welcome you to the Beach Club and trade pins. The Beach Club is lighter and airier in feel, and has, I admit, a fantastic lobby fragrance. Waverly seashell draperies that were everywhere in the 1980’s, beach umbrellas, large blue and white chinoiserie planters, and clever sandcastles with hidden Mickeys are the motif. 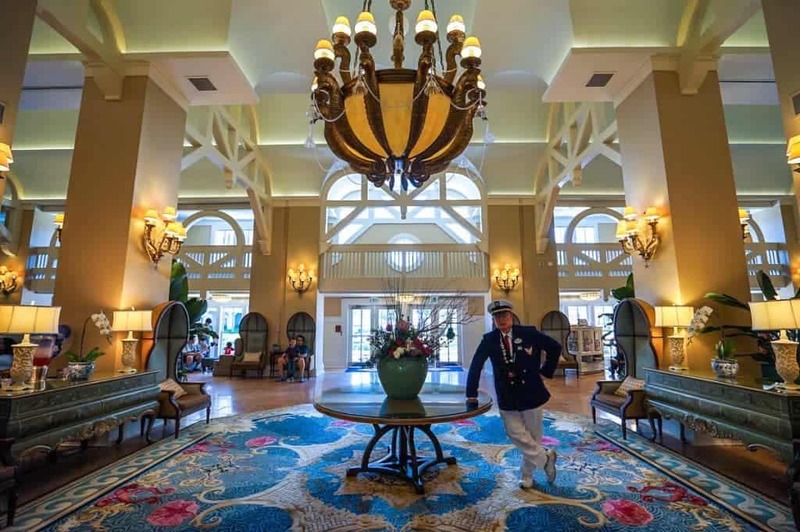 They are both elegant resorts that offer a deluxe feel for Disney World. 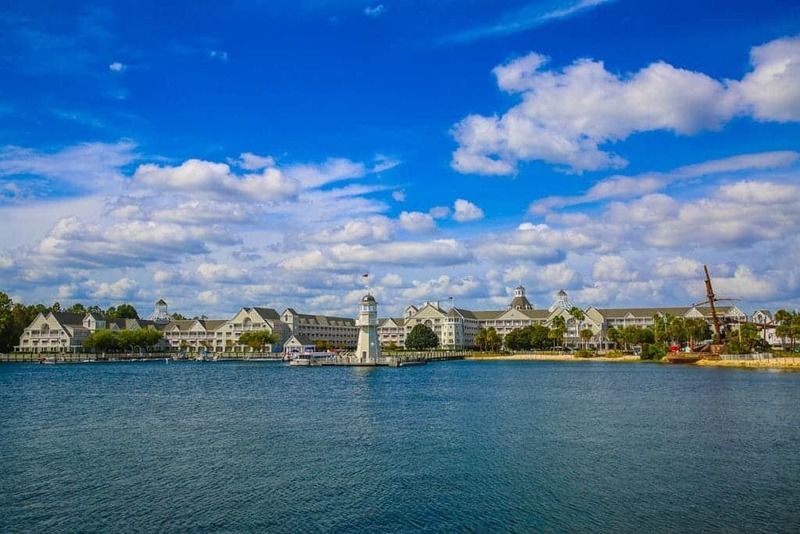 The Yacht Club was intended to serve convention guests and business travelers while the Beach Club is the more casual option intended for families, but this is Disney, and families are welcome everywhere. 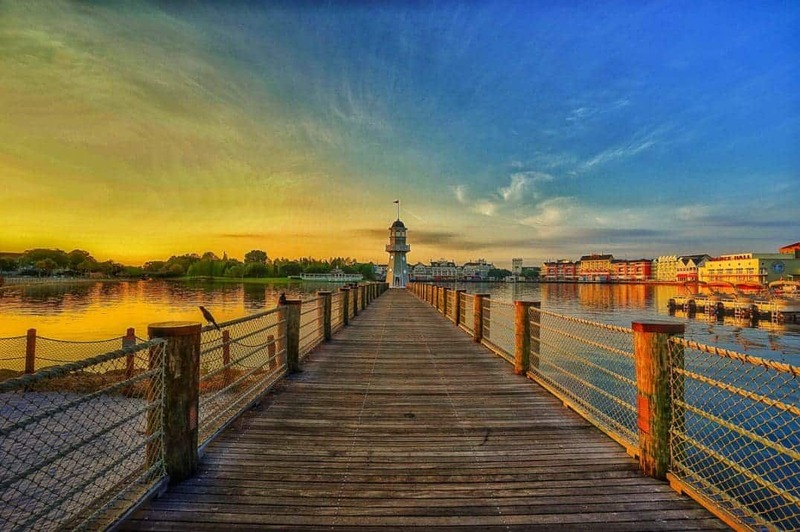 The Disney Beach and Yacht Club are in the Epcot Resort area of Walt Disney World. They are on a lake facing the Disney Boardwalk and are also neighbors of the Walt Disney World Swan and Dolphin Hotels. 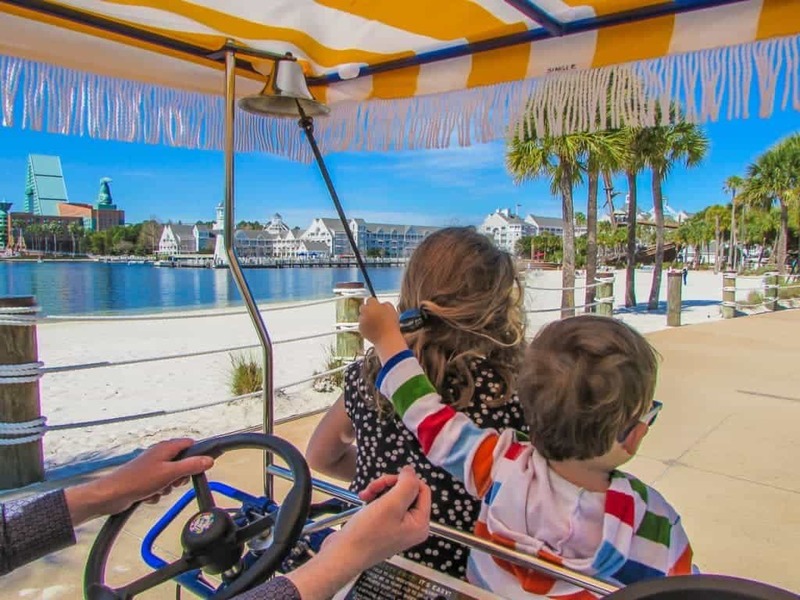 Rent a surray and ride around the Disney Boardwalk and the Swan and Dolphin hotel. There’s one brutal slope on a bridge. There’s no shame in pushing. All of these resorts are on the same boat service that provides transportation by water shuttle to Epcot and Hollywood Studios. Bus transportation is available to all other parks and Disney Springs. 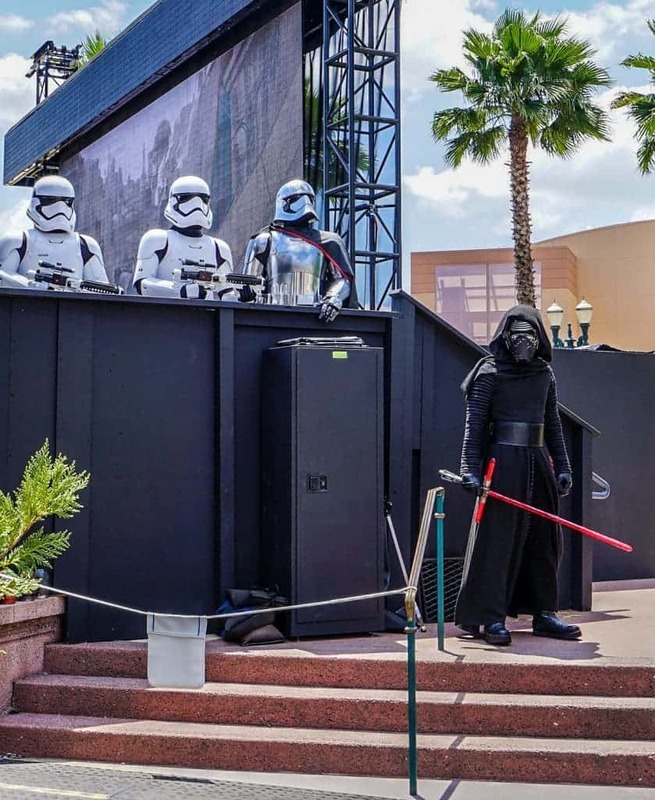 Take a wrong turn to Hollywood Studios and pay the price. 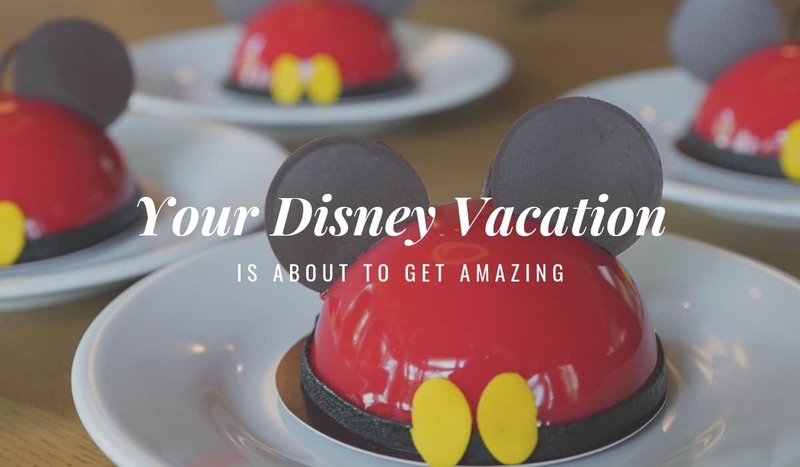 JOIN THE LUXURY DISNEY WORLD FACEBOOK GROUP IF WE CAN ANSWER YOUR QUESTIONS ABOUT PLANNING YOUR NEXT DISNEY VACATION. A nice feature, to me, is that the Epcot entrance is an easy walk from the Beach and Yacht Clubs, and it is the back entrance of Epcot that is in between France and the United Kingdom pavilions. This creates easier access to many of the great restaurants in Epcot while staying at either resort. Epcot is reachable by foot from the Beach Club and Yacht Club. Like with all Disney resorts, the Magical Express is a free perk to provide airport transportation to the hotel, and free parking is available, as well. Easy boat shuttles head to Epcot and Hollywood Studios from the Yacht Club. Rooms at the Beach Club have been refurbished in the last few years, though they aren’t super exciting. Mother of Peal trim on bed headboards, sea blue and brown dominate the palette and hidden Mickeys adorn decorative pillows. Most rooms offer two queen beds plus a comfortable twin daybed to sleep a family of four or five easily. Rooms at the Beach Club sleep four to five people. Many rooms offer balconies that vary in size and can look out over the pool and water areas, courtyards, or parking lots and roofs. Each room comes with a large, yet mini, refrigerator, coffee maker, and safe. The Yacht and Beach Club are considered to have the best pool on Disney property. The pool area is expansive, and our enjoyment of it has been based on the crowd level. When it wasn’t that crowded on a cooler cloudy day, we had a ball. But on a hot, sunny day, it’s packed. There are four main areas of the pool complex. The Stormalong Bay offers a sand bottom pool area that works very well for young children, as the water is shallow most areas. There is a lazy river with an artificial current for a bit of floating using tubes and noodles. Compared to other lazy rivers, this one is deep, so children should use flotation devices. There is a traditional pool at the mouth of the water slide, but the fourth area was our favorite, the pirate ship waterslide. A small pool is at the bottom which worked great for our family so that my preschooler played in this pool while my daughter and one of us kept going down the water slide. The slide begins with a dark tunnel that goes over the sidewalk below. And there’s a large sand beach to enjoy, of course. The Yacht Club convention center. 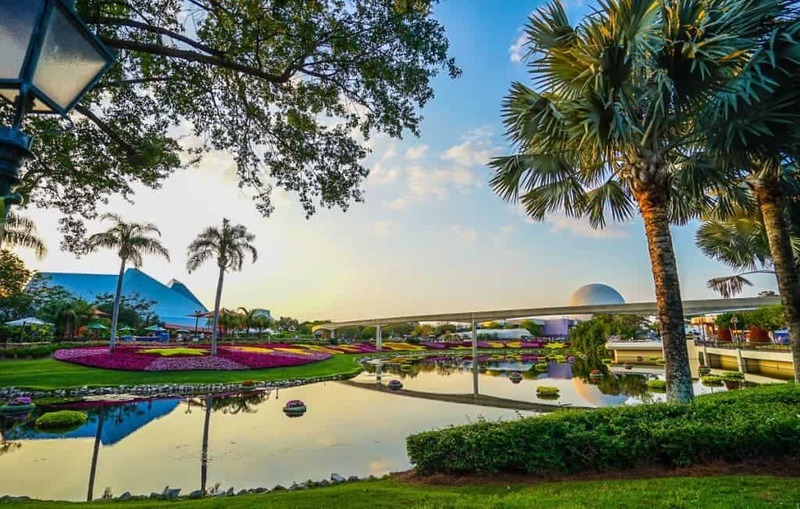 Ensuring business travelers have what they need, there is a spa, salon, fitness center on site as well as an expanded clothing store should you need to purchase non-Disney clothing. I was attending a conference and found the weather warmer than I expected and found a nice selection of non-Disney clothing at the Yacht Club’s boutique that aren’t carried at the other resorts. (The Grand Floridian has its own clothing boutique for men and women, however) to purchase before enjoying the Food & Wine Festival at Epcot. 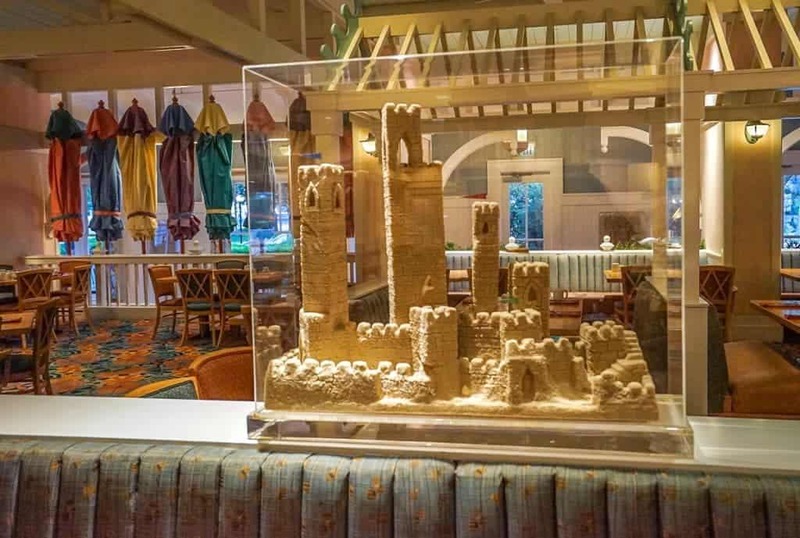 The Beach Club offers one of the Disney World kids’ clubs called the Sandcastle Club that accepts children aged 3 to 12 years of age, though all children must be potty trained. An evening of supervised activities costs $55 per child which includes dinner and a snack. In Disney speak, they are called Children’s Activity Centers. 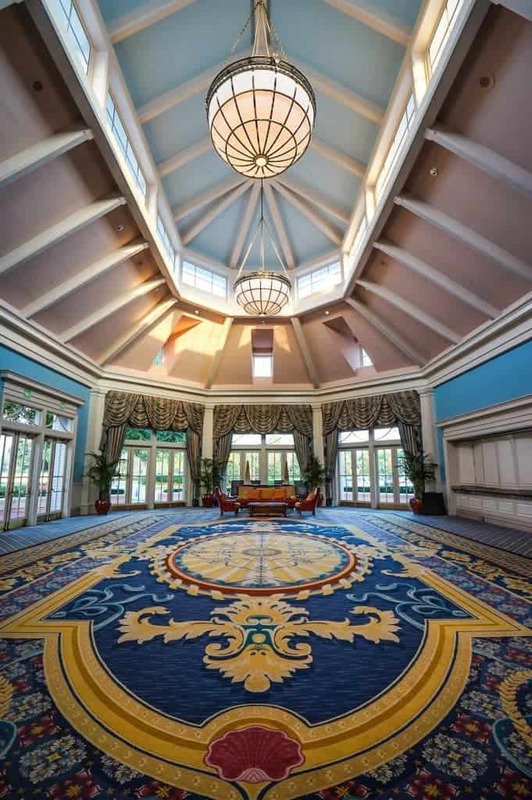 Both the Yacht Club and Beach Club offer concierge level rooms, as deluxe Disney Resorts. 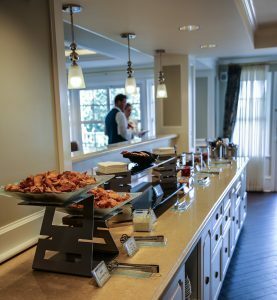 The Concierge level lounges offers various snacks and hors d’oeuvres throughout the day, but not enough to replace any meal but a light breakfast. 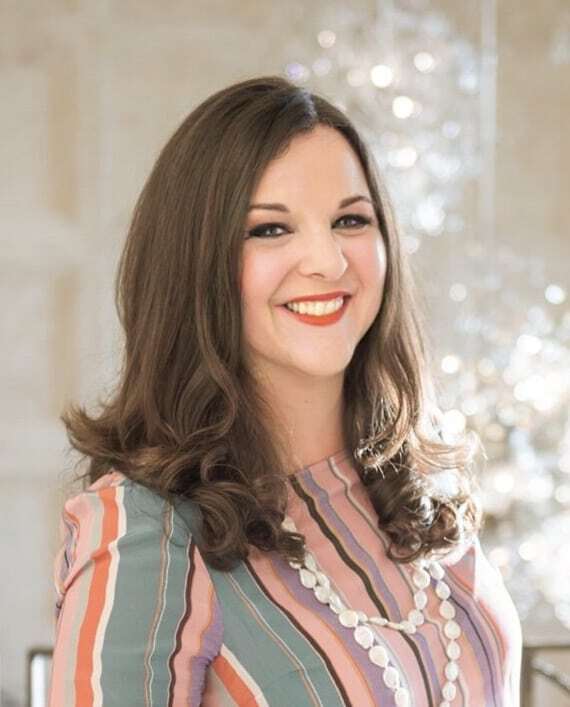 The club-level guests have access to a concierge who will reach out before arrival to assist with restaurant reservations and other activities. The Beach Club, but not the Yacht Club, offers Disney Vacation Club villas. 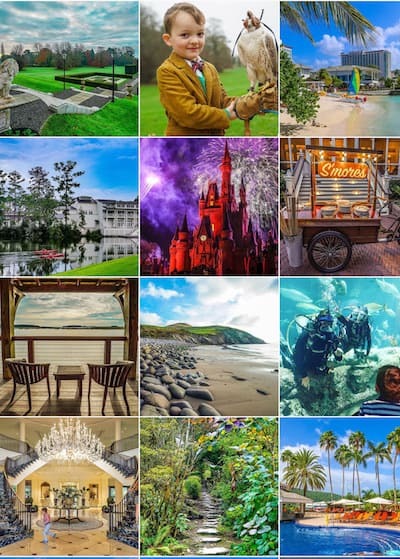 These villas are timeshares that are still available for the public to reserve, either through Disney’s website or through a service that allows the public to rent DVC points from owners who book the villa for you. We have used David’s in the past with great satisfaction and savings. There are two drawbacks to this savings: reservations are non-refundable and “mouse-keeping” is not available. But reservations made through this service still include Magic Bands, Magical Express transportation, etc. The studio villas will offer a microwave in addition to a mini-fridge (all hotel rooms offer a large mini-fridge and coffee maker), and units with bedrooms offer full kitchens. Beaches & Cream is the most sought after reservation at the Beach and Yacht Clubs. 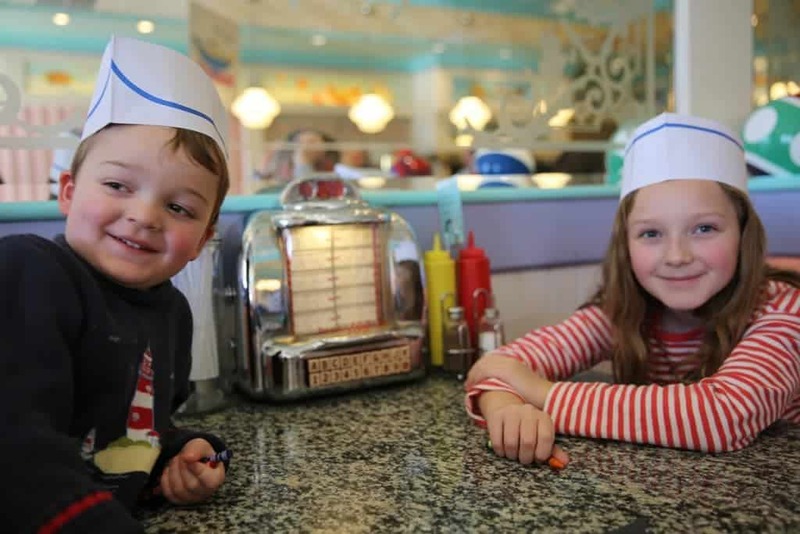 It’s a nostalgic ice cream shop offering casual American diner fare to enjoy before the main event, their desserts. Sundaes reign here, and they come in all sizes. The child-sized sundae with Oreo Mickey ears is the entry-level dessert. One the other end of the spectrum is the Kitchen Sink, the giant sundae intended to serve a large group. In addition to ice cream, brownies, and whip cream, the staff gives a little fan fare with each table who orders it. A family favorite for us, we love the No Way Jose sundae at Beaches & Cream. Offering breakfast and dinner, this buffet style restaurant at the Beach Club is one of the easier character meals to book. Donald, Goofy, and Minnie make appearances at breakfast in beach attire. The food is not memorable, but I would still choose this option over a meal at Chef Mickey’s. Cape May Cafe offers a character breakfast buffet with Minnie, Donald, and Goofy, and an evening seafood buffet. At dinner, Cape May offers a seafood buffet, but we haven’t tried it when the Flying Fish Café (at the Disney Boardwalk) and Blue Zoo (inside the Dolphin hotel) are easy to walk to and offer more of a foodie experience we prefer. The view of the Disney Boardwalk from the Yacht Club. The Solarium is a newer lounge offering an afternoon tea. Compared to the Grand Floridian’s tea, the Beach Club tea is best reserved by calling and seeing which days it is offered during your stay. 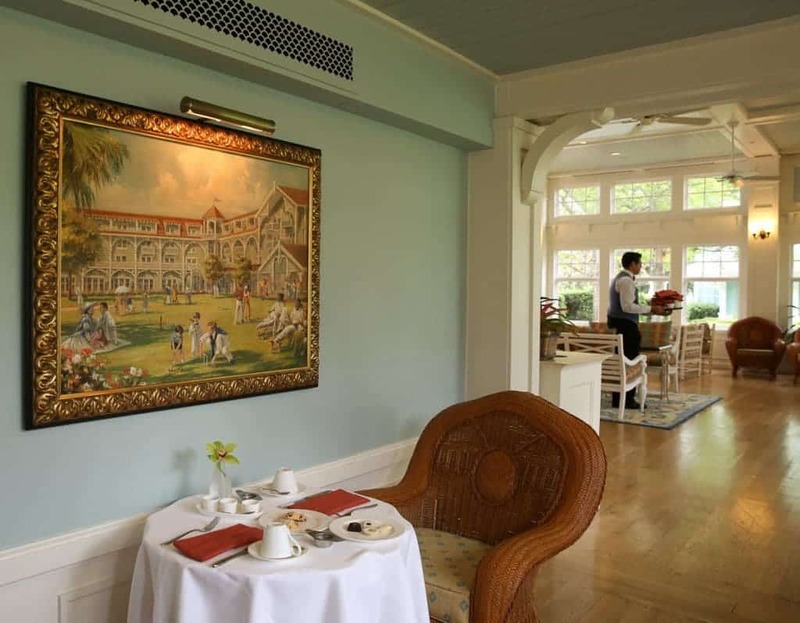 The Solarium at the Beach Club offers afternoon tea service on certain days. Martin, a lovely English gentleman, shared with great excitement the story of launching the Beach Club afternoon tea with me. He was all laughs and jokes until I asked, “Can I take your picture?” Then he was all British business. If you book the tea, I hope you are lucky enough for Martin to be your server. He is sure to enhance your tea experience. 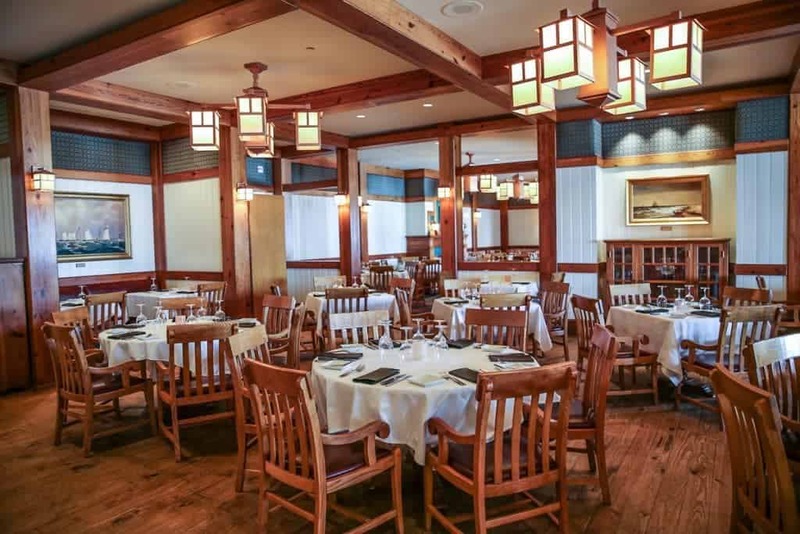 The Yachtsman Steakhouse is the most formal restaurant at the Beach and Yacht Club, but children are still welcome. 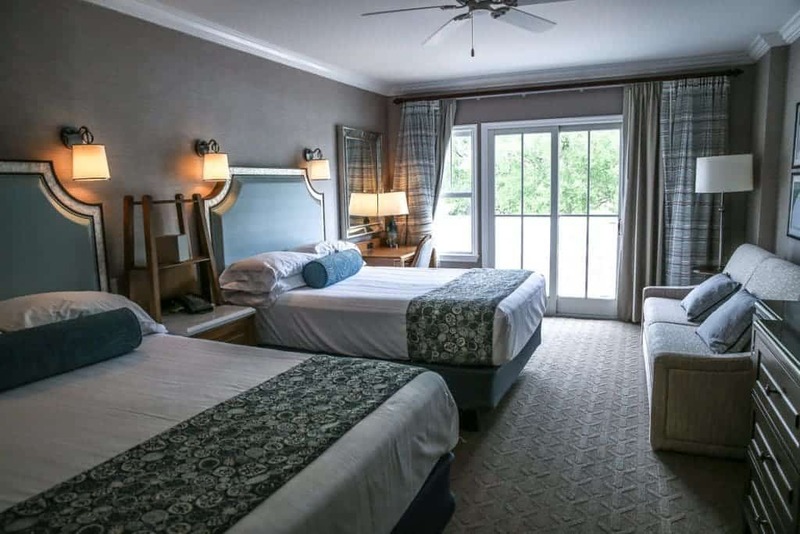 I like Disney’s Yacht Club Resort and Disney Beach Club and think they are a great choice to stay because of their onsite ambiance, access to so many restaurants and Epcot on foot, an easy boat ride to Hollywood Studios, and the expansive pool area. The cons of the Yacht & Beach Club include the extra time by bus to reach Magic Kingdom (and every deluxe resort is somewhat far from Animal Kingdom except the Lodge, so that doesn’t count). If Magic Kingdom is the focus of your trip. I’d probably choose the Magic Kingdom resorts like the Grand Floridian or Contemporary. Additionally, many Disney pools feel very crowded, and this one is especially so in warmer weather. We have loved Stormalong Bay most when it was cloudy or midweek. For families who plan on visiting every park and have kids old enough to enjoy the pools, it is sure to please. For adults visiting Disney for the Food & Wine or Flower and Garden Festivals, the convenience can’t be beat. Check your dates for rates at the Yacht Club, Beach Club, or Beach Club Villas. There’s a way to save as much as 50% off of a stay if you book at the Beach Club villas. 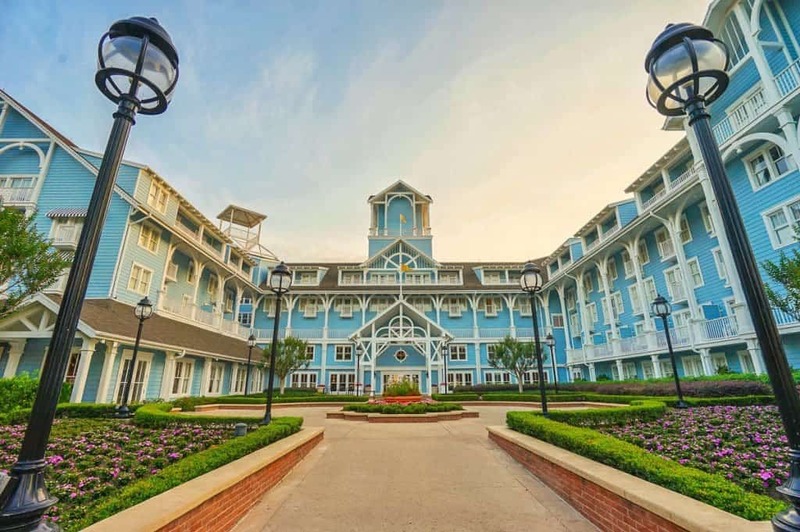 The villas at the Beach Club are part of the Disney Vacation Club, Disney’s version of timeshare units, but it’s still available for the public to reserve. The Yacht Club has no such villas.